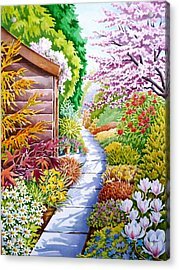 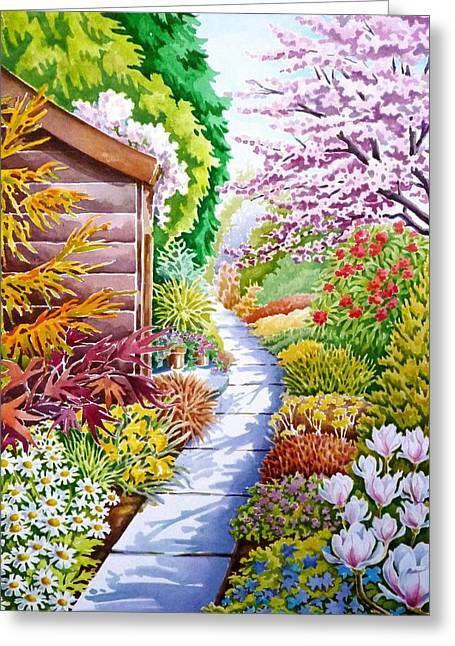 Up The Garden Path is a painting by Debbie Diamond which was uploaded on July 17th, 2010. Take a walk through the garden in Springtime when the blossom erupts and the sun cast shadows, on the garden path to the shed. 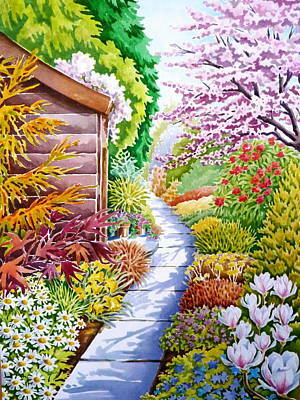 Uplift your heart with the blossoms, flowers and trees. 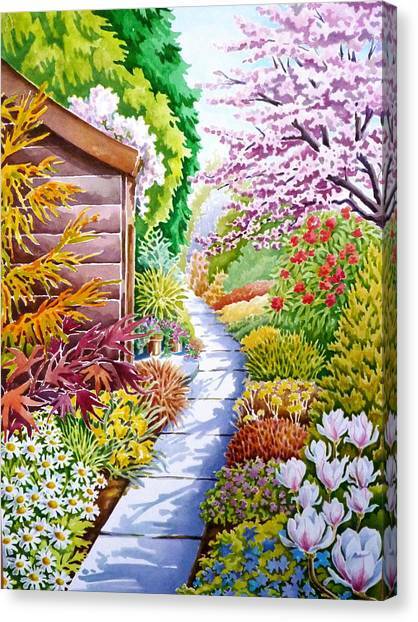 this would make a great greeting card! 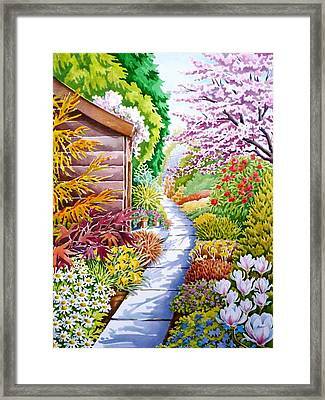 I feel drawn IN to this painting - I can feel the sunshine and hear the birds singing! 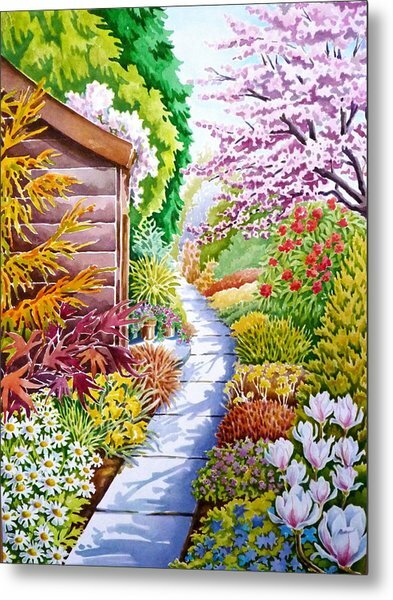 Use or vibrant colors and masking technique.Very nice Debbie.